Our troops are deployed WITHOUT a pillow, but with your help, newly deployed troops are now receiving a One Touch Pillow. In partnership with Operation We care, One Touch Awakening is making a difference to our troops fighting for our freedom in Afghanistan and Iraq. Along with providing physical comfort, each time these troops lay their head on their One Touch Pillow, they can be assured they are being supported with prayers from home. Learn how you can help here! 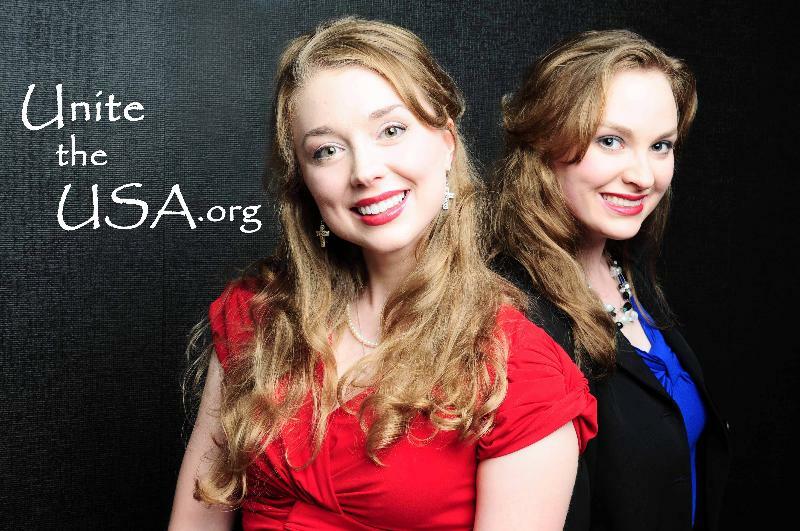 Sisters and founders of Unite the USA, Stacie Ruth and Carrie Beth Stoelting, are active patriots and recording artists who have sung for many leaders such as President and Mrs. George W. Bush, Sarah Palin, Mike Huckabee, Chuck Norris, and more. They share across the country and on media - most recently Fox News. The Lord also gave them the opportunity to record their first album (Heavenly) with Grammy and Dove winners. Currently, the Stoelting's are in the process of recording a patriotic Christian album entitled In God We Still Trust. 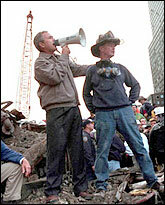 ...Uniting and Activating the Post-9/11 Generation to be Freedom Fighters! 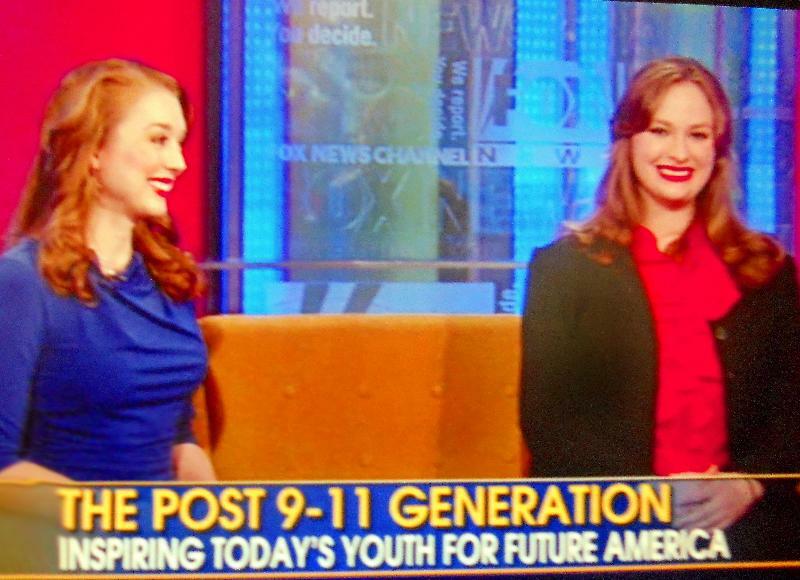 Right after Osama bin Laden died, FOX News invited us to represent and activate the post-9/11 generation. As young women (and sisters), we’re unashamedly passionate about our faith and freedoms. Interviewers asked and continue to ask us, "What made you, two young people, so passionate about your country and veterans?" Well, our boldness and priorities accelerated when we witnessed a fatal accident. We prayed with the victim to receive Christ. And then he bled to death. The phenomenally horrific experience taught us a lifetime of lessons in a few minutes. It traumatized us. But it also awakened us to what's most important in life. We now appreciate veterans (who witnessed far worse) and share Jesus while there's still time. It also amped up our appreciation for our blood-bought freedoms in America. Memories -both personal and national- flooded us as we flew to NYC. We remembered 9/11. And we made a solemn trip to Ground Zero. We must not forget: 2,752 died on 9/11. 2,752. These could have been your loved ones, your co-workers, your friends. Oh, yes... 9/11 happened. Like it or not, we must remember...and act proactively to prevent future attacks and freedom losses. The Bible says, "Do not be overcome by evil, but overcome evil with good" (Romans 12:21, ESV). 9/11 must never happen again. Will you help us as we begin a fresh campaign to activate the post-9/11 generation to become positive, freedom-fighting patriots? We humbly ask you to support us with prayer and to simply share our cause with others. (Our cause and site, www.UnitetheUSA.org, provide lots of tips and truths to activate people to become proactive, positive patriots of faith. You can also find us on Facebook.) It's time to put on our "boxing gloves" and fight for justice, life, and freedom before it's too late. We once rode on a plane with someone around our age. She didn't know much about our country. It startled us. What if people hadn't taught us about America's history and heritage? We must learn and then share. Why? Well, ignorance-caused apathy is a serious disease. Apathy kills countries. We must not allow apathy to dominate our lives. We must act and not wait to "react" to another crisis. To kick start our campaign to activate the Post-9/11 Generation, we hope you'll share the ABC's of positive patriotism and actions. Yes, it's as simple as the ABC's! A: Act. Don't just talk. Act. Attend town hall meetings, always vote -even in primaries and mid-term elections. Call and write your Congressman about your concerns. Educate yourself about American history and government. (Through education, you will discover more ways to make your voice heard.) Always vote --even in primaries and mid-term elections. Be aware of the news and understand what is happening in Congress and the state legislature. B: Be bold (and respectful). For example, if you are aware of legislation that is either in committee or coming up for a vote, you will be able to contact the appropriate offices to express your opinion and back it up with facts. Fellow young people, we must pick up the torch and stand for liberty! Like 9/11 hero Todd Beamer, we all need to say, "Let's roll!" With God as our guide, we can unite the USA to fight for freedoms today! Stacie and I were honored to share on Fox News earlier this month. We believe that the Lord provided the opportunity and we were honored and humbled to share. Please feel free to watch the video on FoxNews.com here.